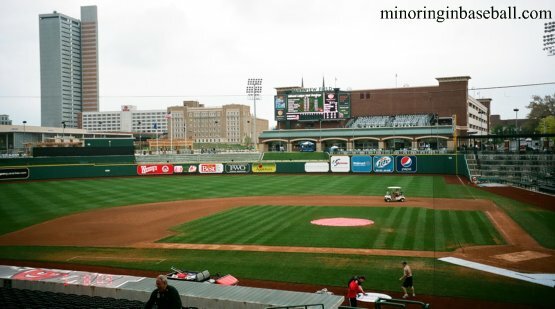 Recently Parkview Field, home of the Fort Wayne TinCaps, has been honored by Stadium Journey magazine as the best overall Minor League experience. This is the second year in a row that Parkview and Fort Wayne has received this award. In Stadium Journey’s ‘Top 101 sports venues of 2012’, Parkview ranked #14 overall. Stadium Journey ranked the venues on many different factors, including the neighborhood, food and drink options, fan experience and atmosphere. The access to the outside and inside of the stadium is also taken into consideration. 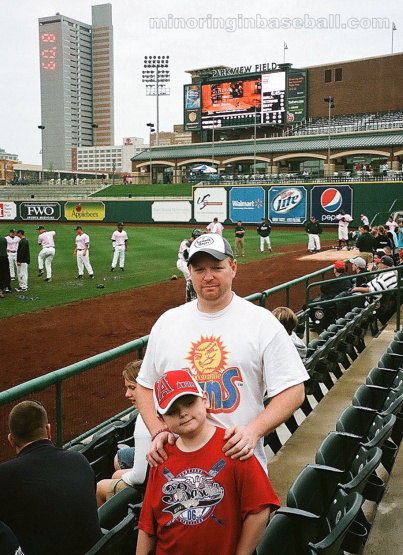 We were lucky enough to visit Parkview Field in its first year during our 2009 baseball trip. We had a great time at the game, and the ballpark does live up to the hype. Our seats were directly next to the Fort Wayne dugout, to the point that we could literally look right into it and interact with players. It didn’t take much for Trevor to snag a game ball that night. It had been raining all day, and we were pretty lucky to even get the game in. Fun Facts: The TinCaps won the 2009 Midwest League Championship. 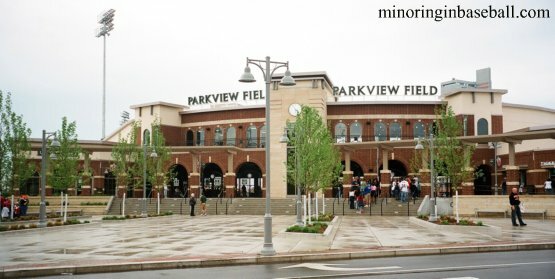 Formerly the Fort Wayne Wizards, the franchise changed it’s monikor and moved into the impressive Parkview Field for the 2009 season. The name comes from Johnny Appleseed who wore a tin pan on his head. 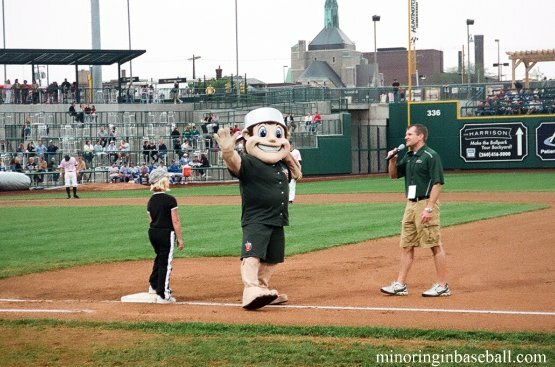 The mascot is Johnny, who represents Appleseed.